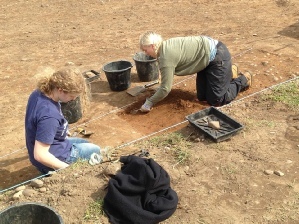 At Mercian we offer a variety of archaeological training schools, that enable delegates to choose the school most suited to their needs. These include our ‘training fieldschool’ experience; covering a wider variety of topics and skill-sets, and our more traditional ‘training excavations’ focused more on teaching, and learning, digging, and recording techniques. These schools are held at iconic and legendary sites rich in archaeology and heritage. The Sherwood Forest Archaeological Training Fieldschool at King John’s Palace, former royal heart of Robin Hood’s world famous medieval Sherwood Forest. The Bainbridge Archaeological Training Excavation, Wensleydale, North Yorkshire. For more information and to book your place(s) please click here. The beautiful village of Bainbridge was formerly the administrative centre of the medieval Forest of Wensleydale, and the magnificent Bolton Castle near Leyburn dominates the valley to the east. A Roman fort looms large over the village on the eastern side. The area is famous not only for its beautiful landscape, but also it world famous cheese, and as the backdrop to the Television series ‘All Creatures Great and Small’. 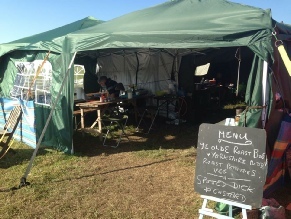 Handtools (Trowel etc), Handtools (Spade, Mattock etc), Site Formation Processes, Stratigraphic Excavation, Context Sheet Recording, Site Photography, Dumpy Level and Staff, Archaeological drawing, Artefact Recovery, Recording & Storage, Site Safety. Survey (Total Station), Finds Processing. 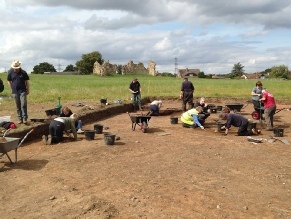 All techniques are taught and experienced throughout the week, a mixture of classroom sessions and hands on training from our Archaeological experts.